An opportunity to participate in a 4–day Contact Improvisation workshop lead by Lewis Wilkins (Scottish Dance Theatre, TrashDollys, Tom Dale, Angels in America). The workshop is part of the research programme at B12 Festival 2019 in Berlin. 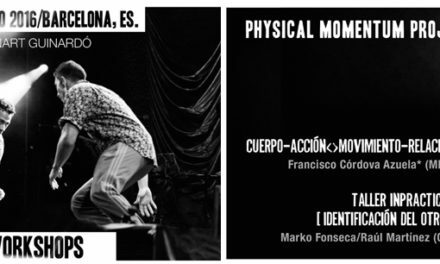 A workshop for the more advanced partnering skills relevant to the practice of contact improvisation. We will usually begin with some introspective somatic ideas in order to arrive in space and stimulate the nervous system. This will lead into solo explorations for tuning in and observing where our attention sits and shifts between the internal body and the space outside. Solo patterns for rolling, falling, flying, and dancing upside down will be included. The tuning in will serve to enrich our physical communication and processing of sensations; resulting in a clearer understanding of the intention, direction, and energy of the other bodies we begin to physically encounter in the space. Once we have taken some time to meet and interact, the invitation will arise to engage with a series of improvisation scores that present opportunities for weight sharing, supporting while moving, and dancing away from the ground. At some point each day, the invitations will become more specific and refined, and there will be some shared research for specific supporting techniques and short duet material. We will find a gradual transition from the proposed material back into improvisation. The attention will then shift towards discovering liberation from the formality of technique and existing patterns, into dancing that is more personal, spontaneous, intuitive, and exciting. we’ll explore CI as a solo practice as well as in duos, trios, and larger groups. €160 – participants with 10 years+ of professional dance experience. Further reductions available when booking additional B12 workshops.